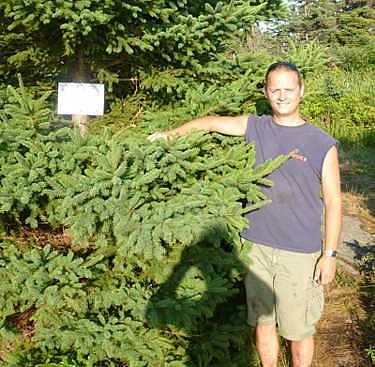 "This island was purchased by the Province of Nova Scotia in partnership with Mahone Islands Conservation Association, a local citizen group dedicated to protecting the environment and traditional uses of Mahone Bay's islands and shorelines. Please respect the islands today, for continued enjoyment tomorrow"
"Shag Island is a great example of how the islands of Mahone Bay should be used for recreation You will notice in the picture above (left) that the camp site and area is clean from garbage and the fire pit is constructed well away from the wooded area. Having the three sides on the fire pit help to contain the fire and keep the fames/ambers blocked from the wind", says Martin Balcome (above right), Chair - MICA Stewardship Committee. Remember: All garbage from the campsite and fire pit should be cleaned out before leaving the islands. 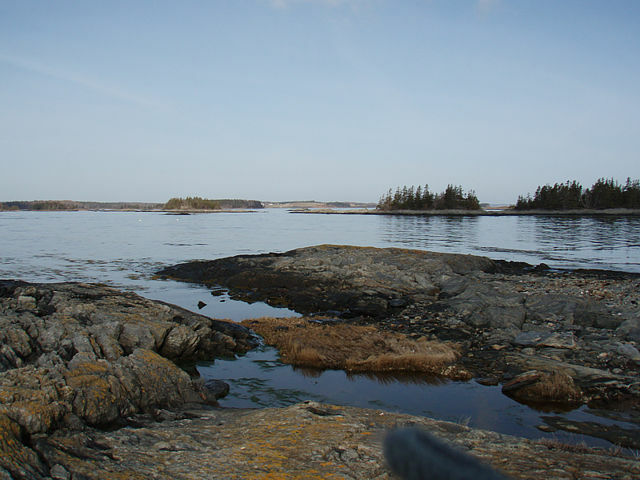 The Mahone Islands Conservation Association is very pleased to announce that Shag Island has now officially joined the MICA family of islands in Mahone Bay. 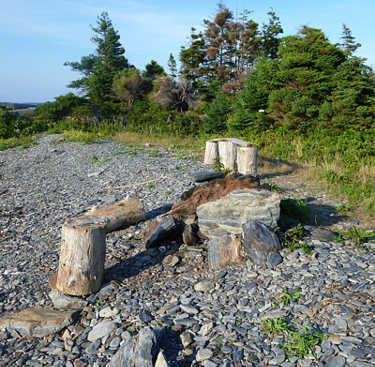 MICA and the Department of Natural Resources of the Province of Nova Scotia have again partnered to acquire this island, often known as Indian, which is located in the outer island grouping off the end of Second Peninsula in Lunenburg County. It is approximately 16 acres, essentially in its natural state, and on a fine day is perfect for access by small boats and kayaks. 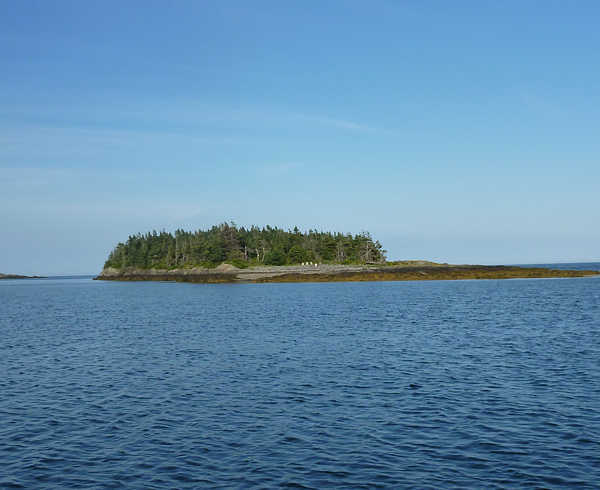 Shag now joins Sacrifice, Long, Dry, Center and Snipe Islands in that cluster of MICA islands that will now be conserved and available for traditional public use. This acquisition was possible due to the continuing commitment of support from MICA members, donors, corporate sponsors and the strong relationship with the Province of Nova Scotia through the Department of Natural Resources. Congratulations and thank you to all our supporters for this important addition to our group of islands.